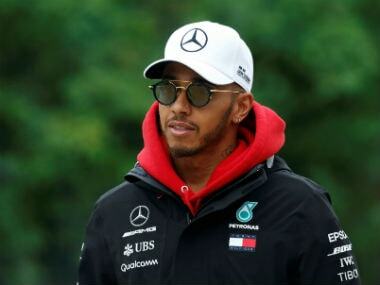 Lewis Hamilton has admitted that he is punching below his weight as he struggles to understand how his Mercedes car reacts to this year’s tyres. 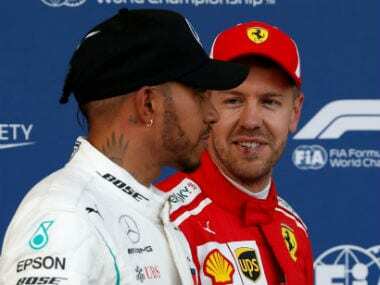 Lewis Hamilton reopened old wounds on Monday when the Mercedes driver accused title rival Sebastian Vettel of breaking the rules during Sunday’s Azerbaijan Grand Prix. 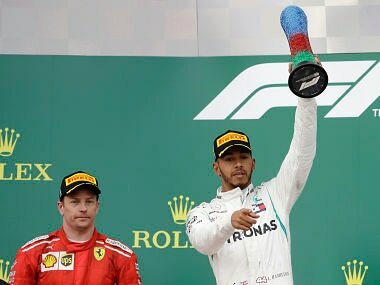 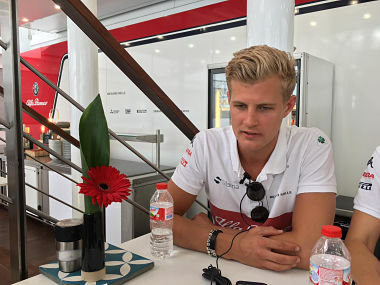 Bottas, who has comfortably outperformed Hamilton this season, was dealt a cruel blow when debris on track caused a puncture, forcing him to retire. 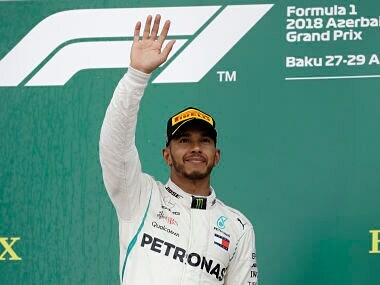 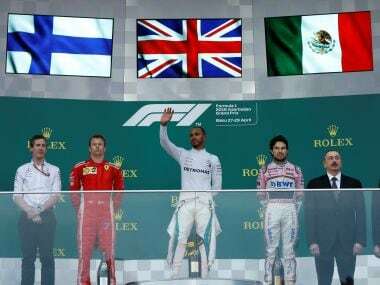 Lewis Hamilton was subdued in his celebrations while his Mercedes team-mate Valtteri Bottas was left devastated after the defending world champion claimed an unlikely victory in Sunday’s incident-packed Azerbaijan Grand Prix. 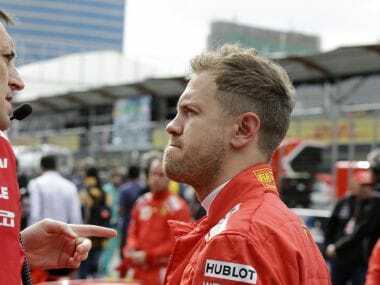 Sebastian Vettel said he had no choice but to try and pass Valtteri Bottas in what proved to be a misjudged move that cost him a podium finish in Sunday’s Azerbaijan Grand Prix. 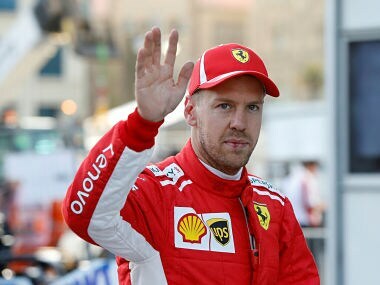 Sebastian Vettel was on top ahead of defending champion Lewis Hamilton of Mercedes as they began their final flying runs. 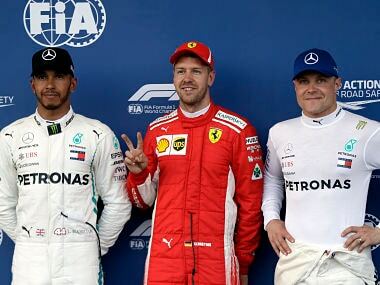 Vettel, who leads Hamilton by nine points after three races, clocked a best lap in one minute and 41.498 seconds to sweep to the prime starting spot. 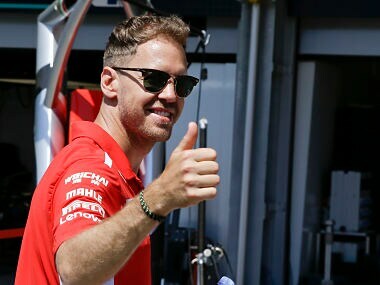 Sebastian Vettel clocked a best time of one minute and 43.091 seconds, out-pacing Lewis Hamilton, also a four-time champion, by 0.361 seconds.